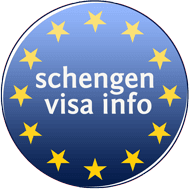 The process of applying for a Schengen Visa or any visa is quite stressful. You might just want to travel around the world or visit family or friends, but visa applications might scare you and the amount of paperwork seems overwhelming. The Schengen Visa can provide you with the opportunity to travel around countries in the EU as a visitor and enjoy different cultures. However, the process to get this visa is very strict and you will need to demonstrate that you will return to your country. Luckily, there are solutions and documents which help with proving that you will not overstay your Schengen Visa and that you will not attempt to remain in any EU country illegally. The solution to that is a document called a No Objection Letter. 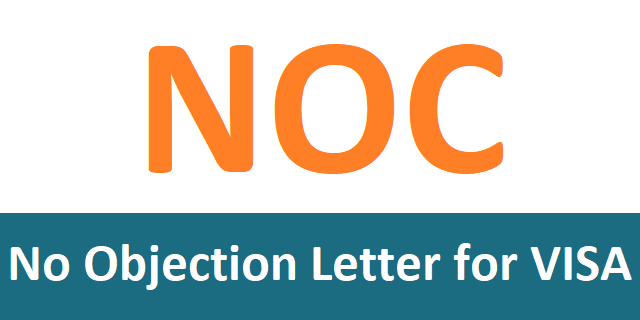 What is a No Objection Letter? A No Objection Letter is a letter from your employer or your school/university which states that you have contractual obligations in your home country which you will return to. So in addition to booking your flight and hotel and submitting the reservations as proof, you can also submit a No Objection Letter. The No Objection Letter is otherwise known as a No Objection Certificate for Visa or a NOC. It can be mandatory for some countries, but is usually optional. Even though it is optional, it is a good idea for you to submit it because it will speed up your visa processing and will increase your chances of getting the Schengen Visa. What are the types of No Objection Letters? The NOC format for employees is written by the employer on behalf of the company. The employee in this case is the person who is applying for a Schengen Visa and the employer writes the NOC to state that the employee has obligations at work for which he or she will return and that the employee has a good financial position to afford going to Schengen countries. The NOC format for students is written by a responsible person from the university which the student attends. The No Objection Certificate for university can be written by an adviser, a head of a department, or the dean of the school. The letter will state that the student who is applying for the Schengen Visa is enrolled in the university and will have to return to their home country to complete their degree. If the student is sponsored by a scholarship, the NOC format for school can also state that the student is financially stable and funded by the scholarship. How to get a No Objection letter from Employer or University? There are various ways you could go about getting a No Objection Letter. One of the easiest ways is to simply ask. If your leave from work has already been approved, you can simply go to your supervisor and ask for the letter. They will most likely agree and have no problem with it. If you are a student and your travel happens during university breaks or you have obtained special permission to miss classes during your travel, then you can also just ask your adviser or a person responsible at the university and they will write it for you. However, visa applications take a lot of time and people do not always tell their employers or universities that they are applying for one. Most people want to first get the visa and then obtain their leave from work or get permission from the university. This makes it a bit more difficult to get a NOC. For employees who want a NOC, you must first have a leave approval letter from employer for visa purposes. This is difficult to commit, but if you have already booked a flight and hotel, you know the tentative dates of your travel and can submit a leave request. After this, you can go on to require a letter for NOC from employer. If you work in a big corporation where hierarchy is important and you cannot just send an email requesting it, then you can go through your company’s Human Resource Department and learn how to write an application for a No Objection Certificate and attach the leave approval letter from employer for visa purposes. As for students, you must submit a request for permission from your professors or adviser and have it approved, releasing you from classes and allowing you to miss for a certain period of time during your travel. The easiest solution for students though is scheduling your travel for university breaks and informing the relevant people of your plans. When you tell your adviser that you are planning to travel during a university break, they will not then have a problem with writing a NOC for you. What is the format of a No Objection Letter? The NOC format for visa is quite simple. The letter does not have to be long or complicated, but must simply contain the message that the company or the university does not have any objections to their employee or student getting a Schengen Visa to travel. This signals the visa application centers that the company or university trusts that you will return to complete your obligations. Taking all this information into account, below are two samples of No Objection Letters for employees and students. This letter is in reference to Mr. X, who has been working at company XYZ since January 1st, 2000. Mr. X has impeccable work ethic and for the work he does, he is compensated with $70,000 per year as his salary. On behalf of company XYZ and as Mr. X’s supervisor, we have no objection to Mr. X getting a Schengen Visa to travel during his approved leave at work. We also validate that Mr. X is able to financially support himself during the travel with his compensation package at our company. Attached is the proof of Mr. X annual income. If you have any other inquiries, please feel free to contact me via my email or phone number detailed below. This letter is in reference to Ms. Y, who has been a student at university XYZ from September 1st, 2016. Ms. Y is studying Computer Science and her academic achievements are excellent. For these achievements, she is also funded by a scholarship from the university which covers her university and living expenses. On behalf of university XYZ and as Ms. Y’s academic adviser, we have no objection to Ms. Y getting a Schengen Visa to travel during her approved university break. We also validate that Ms. Y is able to financially support herself during the travel with her scholarship funds. Attached is the proof of Ms. Y annual income.